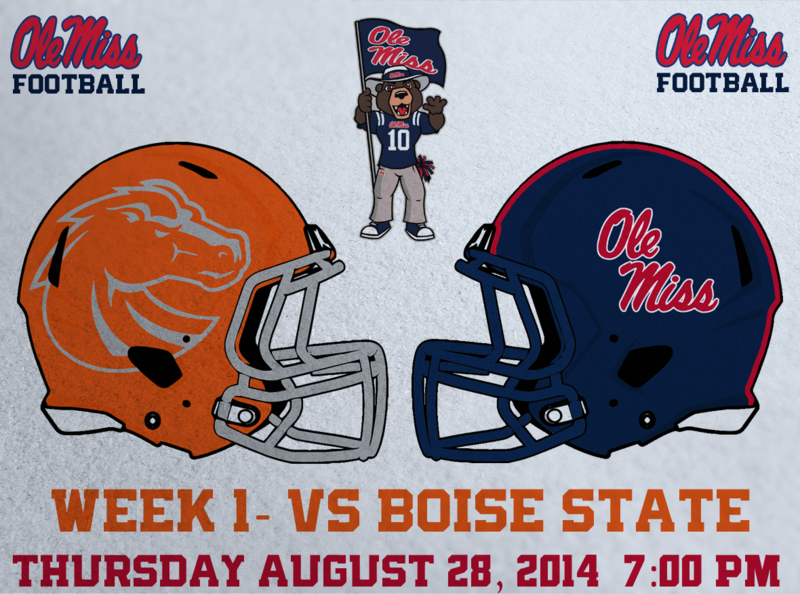 To kickoff the 2014 College Football season, the Boise State Broncos and the Ole Miss Rebels will meet in Atlanta on Thursday Night in the Chick-Fil-A Kickoff Game. The Broncos are wearing a brand-new orange helmet with a chrome logo and facemask. 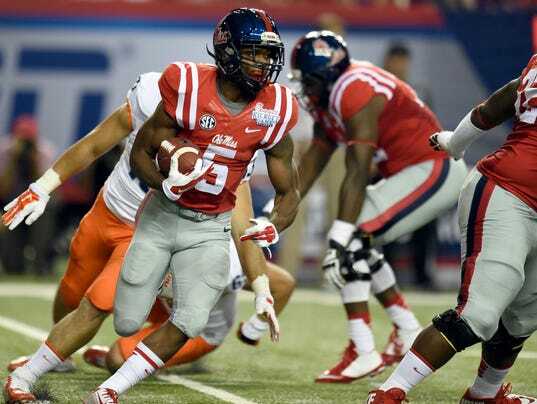 The Rebels, on the other hand, will be wearing traditional uniforms: Navy Helmet, Red Jersey (with the Chick-Fil-A Kickoff Game Patch), and Gray Pants. This year, the Ole Miss Football Uniform Tracker (along with the Mississippi State and Southern Miss versions) will have a slightly updated presentation method. 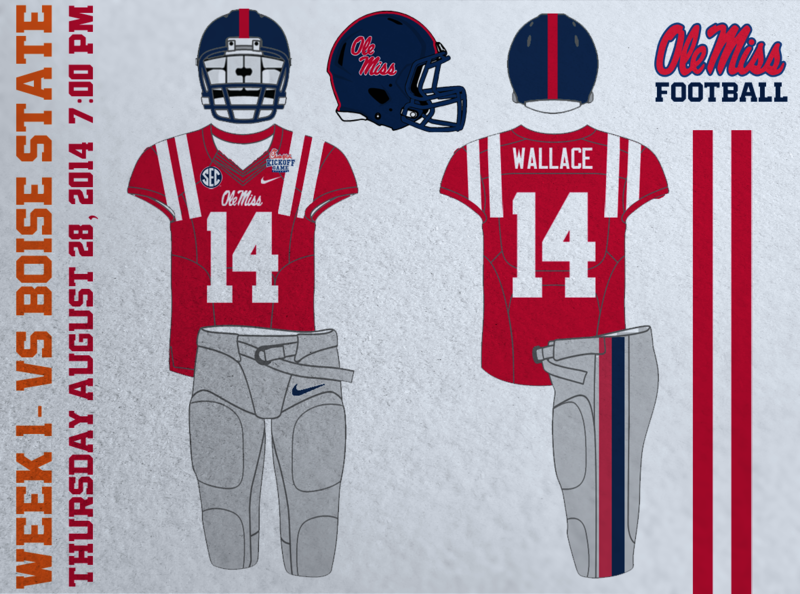 There will be two images in each post: one will display the helmet match up for the game, with the date and time of the game, and the other will display the uniform combo worn by Ole Miss for the Game, also along with the date and time of the game. The background texture is called "Letterpress". I downloaded it from the CCSLC a few years back.